The eight-game match in rapid chess, where the best Czech chess player David Navara will play against grandmaster Vassily Ivanchuk, is going to take place between 27th to 31st May 2009 at Best Western Kampa hotel in Prague. It will be a rapid match with a similar format to last year’s match against Kramnik. 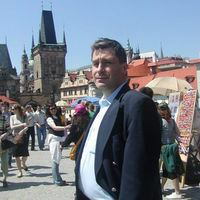 The match of grandmasters Navara and Ivanchuk is the main attraction of the chess festival ČEZ CHESS TROPHY 2009, which is held by a civic association Prague Chess Society. All games will be commented on for the audience by the Czech-American grandmaster, Lubomír Kaválek, and will be complemented by a chess simul and lectures from grandmasters Vlastimil Hort and Ján Plachetka. The games begin at 17:00 CET on Wednesday May 27th. Two games will be played every day, as Friday 29th is a rest day. Forum discussion about the Navara – Ivanchuk match. An international grandmaster, forty years old Vassily Ivanchuk, has been among the absolute world top players for the last twenty years. As per 1st January 2009 he was rated third in the world chart, today he is number twelve (ELO 2746). He has been the best Ukrainian player for a long time and he has represented Ukraine at a number of chess Olympic, world and European cups and other international tournaments. Last year he won the M-Tel Masters tournament in Sofia as well as Tal Memorial in Moscow, this year he shared the first place at the super tournament in Linares. In comparison with other grandmasters from the world top, Ivanchuk surprises with a number of fantastical sacrifices and fresh ideas. Logically, this results in erratic performances – it can never be predicted whether he is going to win or to be the last in a supertournament. An international grandmaster, twenty four years old David Navara has been the best Czech chess player for a few years now. He regularly represents at chess Olympics and international tournaments and also during the annual festivals of Prague Chess Society. He has already played matches with Anatoly Karpov, Viktor Kortchnoy, Vladimir Kramnik, Nigel Short, Boris Gelfand and Alexei Shirov. His best rating in world chart was a thirteen position (from 1st January till 30th June 2007), now he is 74th (ELO 2654) In January 2007 he played his first super tournament (Corus 2007 in Wijk aan Zee), where he managed to draw with black pieces with then the world champion Vladimir Kramnik as well as with then the highest positioned player of the world chart Vishy Anand and also with the current rating number one Veselin Topalov. In summer 2007 he won the prestigious rapid chess tournament, which was taking place in German Maize, on which 762 chess players, inclusive of grandmasters from the world first ten, were competing. During this year European Cup in Budva he shared 1st to 11th place and he qualified for the World Cup in Khanty Mansiysk. Read more about Navara in his own words.